We are team of professionals who can provide a wide range of Oracle consultancy services and DBA (Database Administration). All our professionals are highly skilled and experienced Oracle Database Administrators. 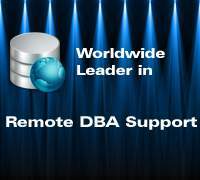 The team of professionals and experts are able to offer Remote DBA Services. 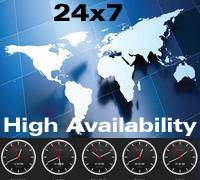 They are available around the clock and database monitoring and support services are provided 24*7*365. We assure highest performance, security and availability with our level of support. We are capable of managing small to large databases and can perform all DBA related tasks efficiently. All of these tasks are administered and managed by the team remotely. Offshore DBA support & services are offered at very competitive rates. The work should not be interrupted if the DBA is away. This is one of the reasons why we can offer you the support in emergency. We are known for providing the services to people who want DBA support for short span of time to make sure that the work runs smoothly. In this type of contracts, we can offer online or remote DBA support and services as per the requirements of the clients. In case, there is a requirement for getting support for a single incident; we can offer custom solutions to our clients depending upon what they want. Some of our expert services include installation, configuration and incident resolving. The database is thoroughly tested for optimal tuning and security before it is made live in working environment. We have team of professionals providing consultations for disaster recovery also. 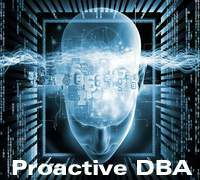 Our remote dba professionals are well versed with the latest technology and are capable of providing guidance for Oracle software and licensing along with the updates for the existing database. This is possible because the professionals have to go through the filtering procedure before they are hired and we only recruit those people who are most efficient and knowledgeable. 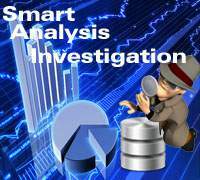 They are also able to offer guidance for unknown and mysterious errors in database. We can offer database designing if it is in primary stage of designing. This is because of the reason that our experts have hands-on experience in designing and implementing database with utmost security and flexibility. This is one of the most important aspects of Database management. We are able to handle any kind of database errors and detection of unknown bugs. 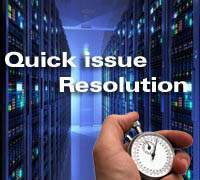 We can provide quickest solutions to these issues and make sure that the working does not get affected. We completely understand that the clients may require support on the phone. The professionals are able to speak to them anytime on the phone. The clients are able to provide DBA support & services on the phone making sure that the issue stands resolved quickly. There are a number of recoveries offered by us. The disasters recovery may be single incident or multiple incidents. Some of our recovery services include media recovery, Database Disasters from HOT backup, RMAN backup, COLD backup, LOGICAL backup and third party backup. Our expert database administrator will proceed for DBA recruitment for your company. Our human resource department will help to analysis best candidate for you. Our expert remote dba team will take technical interview for choosing right candidate for your requirement. Managing numbers of databases with different versions of Oracle on various platform in critical situation is not easy task for all kinds of database administrators. 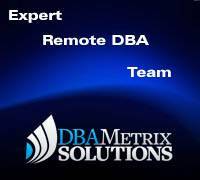 Dbametrix is expert remote dba team and having capability to any kind of database with any version on any platform. For more detail kindly contact our sales department with your requirements.